Erasure have returned with their follow-up to 2005's Nightbird. On Light At The End Of The World, the duo of Vince Clarke and Andy Bell have found renewed energy working with producer Gareth Jones and crafted a terrific collection of upbeat songs. The first single, "I Could Fall In Love With You," is pop perfection mixing memorable lyrics and a thumping danceable beat. (Ok, maybe there is also something about the opening that makes me think of the Dr. Who theme song.) The second single and opening track, "Sunday Girl," has layers of melody that work well together and nothing gives away that it is a dance song that the lyrics "I'm locked up in a rhythm, the prism of a big glitter ball." "Sucker For Love" is a song that just grows on you. I wasn't that excited about the campy vocal in the opening of the track but the repeating chorus of "the love we have is for the better now" does become an addictive phrase and is the payoff. It is difficult to describe the brilliant track "Storm In A Teacup" other than noting the personal lyrics, broad sonic landscape and haunting melody. Shining from a strong vocal performance and clever production, "Fly Away," is raised above what you expect from Erasure to a highlight. "I admit to originally being confused seeing "Darlene" on the track-listing (thinking it was a Dolly Parton cover) but found myself pleasantly surprised. The song is their first album track sporting a person's name but I'm thinking that Darlene and darling could be interchangeable. Bell's vocal acrobatics on "Golden Heart," the emotional confusion of "When A Lover Leaves You," the pleading in "Glass Angel" and the shamelessness of "How My Eyes Adore You" can't be left out but hold their own among the 10 tracks. I believe that a true light at the end of this world would be a big disco ball for this duo. 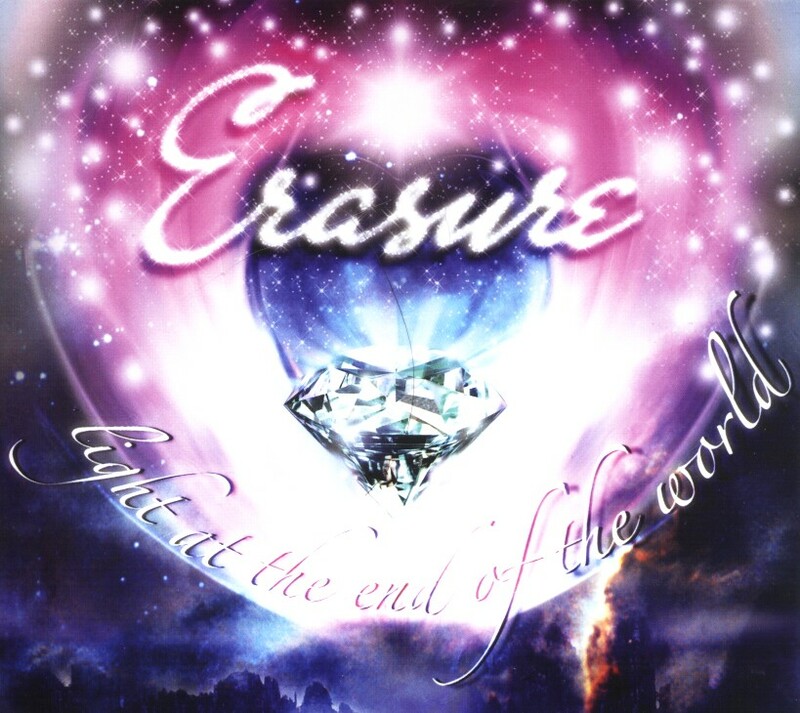 And, on Light At The End Of The World, Erasure triumph and shine on one of the best albums of the year.